John is one of our very talented and creative 3-D artists here at the gallery. He joined the Guild in 2010, and we're luck to have him and his work. 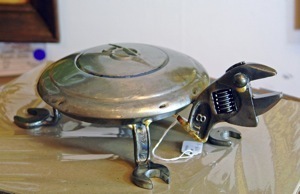 He repurposes used tools and metal to make awesome found-art sculptures, everyone that comes in loves seeing his metal-workings. 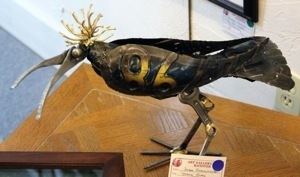 Along with exhibiting here at the gallery, he's also a juried member of the Penna Guild of Craftsman. John can be reached via phone 717-624-7691 or email jjsoko@comcast.net.